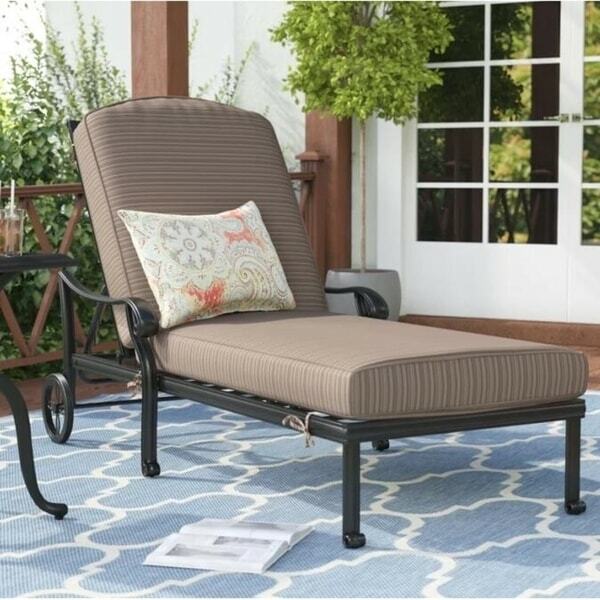 Relax outside with your favorite book on this beautiful chaise. Featuring a high-quality cushion core and Dacron fabric cover for exceptional comfort, this chaise boasts traditional styling for timeless appeal. "Does this recline to a flat position?" Indoor/ Outdoor 25-inch Chaise Lounge Cushion with Sunbrella Fabric - 25"